If you struggle with flooding, then you certainly know why it's important to waterproof your basement. Many homeowners with basements have consistent water leakage problems. We'll cover 7 different methods to protect your basement from flooding in this article. Some are amazingly simple, and others may require professional assistance. The ground that surrounds your home and particularly your basement, should slop away from the house. With the proper ground sloping, the water will be directed away from the foundation. This is frequently the problem of basement leaks and often your home's best defense. Soil can wash away over time or in some cases it may never have been landscaped with the proper slope. If the ground is not properly sloped, the water will pool and collect against the foundation.. This will inevitably lead to leaks. There should be a slope of at least 6 to 8 inches away from the walls of your home's foundation. The slope should extend for at least 6 to 8 feet. If there are paved surfaces such as driveways, patios and sidewalks, adjacent to your house they could also be a problem. This is because they shed water so quickly they can create even larger pools near the foundation. All paved surfaces should slop away from your house and any cracks or holes near the foundation should be patched to prevent water from pooling underneath the surface. Look for uneven ground, such as bumps or ridges that may not be allowing the water to drain properly. If these barriers prevent water from flowing away from your house, the water may begin to pool around your foundation. It's a good idea to periodically walk around your house after a rain storm or run a hose over the landscape. Check to make sure your grading system is properly working and water is freely flowing away from your home. A proper drainage system is dependent upon gutters. If your gutter system isn't properly working, water will be forced to run directly off the roof. With no where to go, until it eventually collects around your foundation. The ground that surrounds your foundation is called an excavation ring. This dirt is packed looser than any other area on your property and because of this, the soil becomes saturated very easily. Minimizing the amount of water that comes in contact with this area and installing a drainage system if needed will help prevent pooling. A good gutter system will help direct roof water to a suitable location. 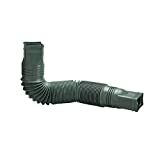 Optimize your gutter system by using gutter extensions to extend the drainage past the excavation ring if your gutters don't drain into an underground down spout. Your gutters should always be in good repair, with all end caps in place. Don't forget to regularly clean your gutters to prevent any clogs. As nice as shrubs and plants look in your flower beds along your house, they can become a real problem for basement leakage. Water tends to follow the roots and if your shrubs are planted too close to your foundation the water could flow towards your home. For basements with small and intermittent leaks, i﻿﻿nterior waterproofing can be an effective method to keep water out . . . and it's relatively quick and easy. However, it should be noted that the most effective method of waterproofing is from the outside. Sealant or waterproofing solutions can be applied to your basement's walls and may be all that's needed to prevent future leaks. The following are three different types of interior waterproofing available. You can match the best fit for your basement wall material. Silicate-Based Concrete Sealer: This type of sealant should only be used if your walls have not been painted or sealed before. Apply the sealer with a brush or roller for best results. However, it can be sprayed on as well. A waterproof surface will be created as the sealer soaks into the concrete or brick. Many of these types of sealers are designed to be painted over. Concrete Waterproof Coating: This sealant is ideal for masonry and concrete walls. It can not be used on painted surfaces. Apply using a heavy brush made with tampico bristles. Great for Foundations, Planters, Ponds, Gutters, Roofing, and much more. Self Healing, 1500% Elongation, Resistant to Aging and UV Exposure. Cracks in your foundation can cause a major problem when it comes to leaking. It's a good practice to periodically check for cracks in the wall of your basement. If you notice any, the first thing to do is call a structural engineer or foundation specialist and arrange for them to conduct an inspection. If none of your cracks are a threat to your home, the next step is to patch the crack. One of the most common causes of leaks is a deep crack, because it goes all the way through the wall . Clean the area around the crack. Remove any loose concrete chips. 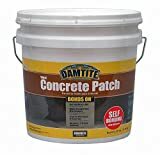 ​Fix the cracks in your foundation by using a vinyl concrete patch.﻿﻿ The patch should be mixed to the consistency of a thin paste. Latex should be added instead of water, giving the patch some added elasticity and adhesion. These products tend to dry quickly, so only mix small batches at a time. Use a spray bottle to wet the foundation crack with water. Then attach the patching material. The water will prevent the moisture from being drawn out of the patch and preventing it from forming a solid bond. A trowel can be used to smooth out and level the patch to your foundation's walls. Installing a french drain can help relieve serious water issues. A french drain is a continuous system of piping that runs beneath the basement floor as well as the perimeter. Coarse gravel surrounds a perforated pipe​ which encourages water to drain towards a sump pump. The pump will then remove the water from the area. CLICK HERE for more information on installing a french drain. This technique is not a do-it-yourself type of job and a professional should be hired to complete the work. With that said, hydroclay injection can be an extremely effective waterproofing technique. Clay is pumped into the voids and pathways that water follows to get inside your foundation. 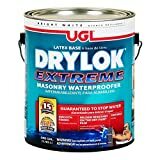 Hydroclay is able to draw the water in while it seals your basement from the outside.